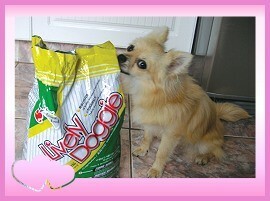 Lively Doggie is a 100% complete, nutritionally balanced food providing all the natural goodness your pet needs. Complete and highly digestible dog meal free of meat, meat by-products and diary-free. A delicious meal that will make all dogs happy! Copyright © Loving Hut International Company, Ltd. All Rights Reserved.